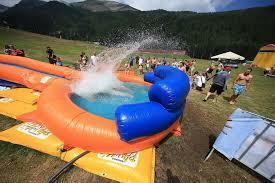 Since last year, one of the greatest summer attractions in Bansko is the longest water slide. 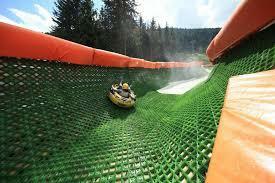 The facility is unique as this is the longest water slide of the Balkan Peninsula, entire 350 meters down-hill water slide. Beside the water slide, there are many other activities and entertainments – soccer field with small goals, shooting ground, mini golf, “live” football table, a lot of sun and wonderful emotions! What about the hotel – certainly this is Aparthotel Lucky Bansko SPA & Relax! The place where you would feel really special and cared for!